Ibama's licensing office ruled the dam's backers had not presented information in time to show its social and environmental viability. Brazil’s environmental regulator Ibama decided on Thursday to shelve the environmental license request for a hydroelectric dam on the Tapajos River in the Amazon, a project that had been opposed by indigenous tribes and conservation groups. Ibama’s licensing office ruled the dam’s backers had not presented information in time to show its social and environmental viability. They halted the 30 billion reais ($9.40 billion) project. In April, Ibama had suspended the licensing process that began in 2009 after criticism by Brazil’s indigenous affairs department, Funai. With installed capacity of about 6.1 gigawatts, the dam proposed by state-run Eletrobras, Brazil’s largest power utility holding, and a group of other electricity companies, would have been one of Brazil’s biggest. But it would have flooded 376 square kilometers (145 sq miles) of Amazon rainforest that is home to some 12,000 Munduruku Indians, according to Greenpeace. Scientists commissioned by Greenpeace said last year that the environmental impact assessment was a “marketing tool” that totally disregarded the indigenous people living along the banks of the Tapajos river. Ibama said the companies behind the dam project had failed to supply information on the impact it would have on aquifers, on deforestation, the destruction of plant and animal life and the loss of farm land for indigenous communities. 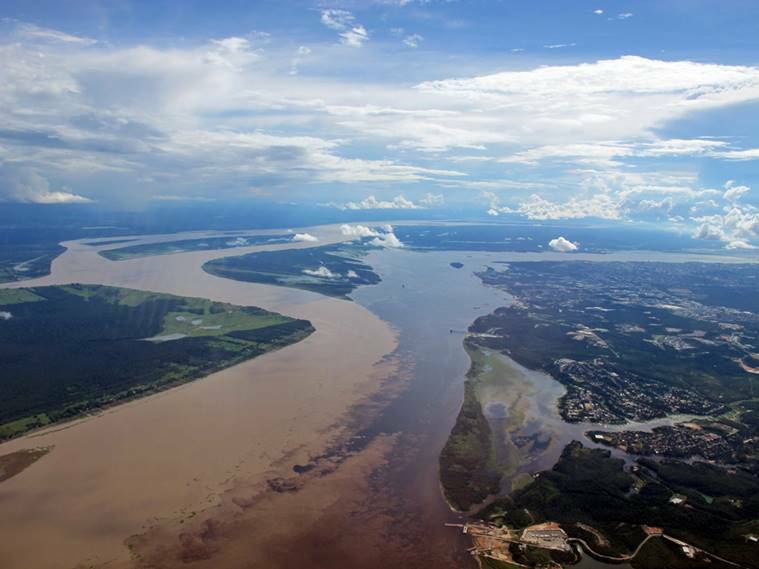 A license for the Tapajos dam can be requested again, but that is considered unlikely due to the cost of redoing impact studies from scratch and the current recession Brazil is in. Brazil gets around three quarters of its power from hydro-electric dams, though environmental concerns and opposition from Amazon tribes have often delayed the completion of dams. The Belo Monte dam on the Xingú river, the world’s third largest dam, took six years to build after gaining an operating license and its first turbine began operating in April. Environment Minister José Sarney Filho told Valor newspaper in an interview published on Thursday that the Tapajos dam was “entirely dispensable” and could be compensated by energy from smaller power generators and other sources such as wind. Deputy Energy Minister Paulo Pedrosa told Reuters, however, that the Tapajos dam was a “competitive” project and a final decision on pursuing the project was up to interim President Michel Temer.